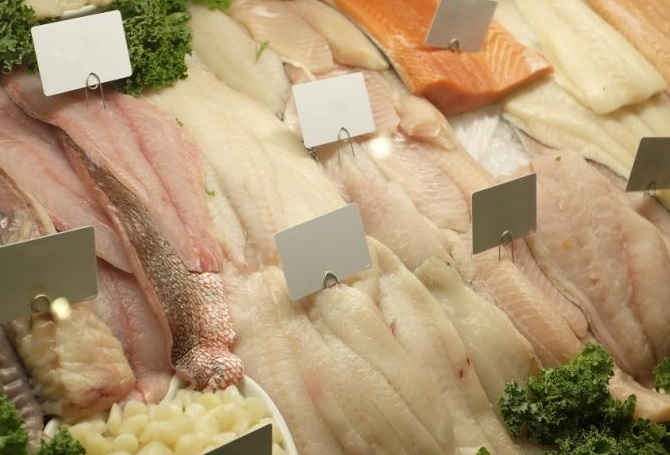 Preliminary Data Suggest Big Erosion in Retail Sales of Fresh and Frozen Fish Fillets During Lent SEAFOODNEWS.COM by John Sackton April 13, 2018 A significant erosion in retail fresh and frozen fish sales during Lent may have occurred in 2018. Lent is the most significant selling season for whitefish, both at retail and foodservice. A preliminary look at Urner Barry’s retail promotion database during lent suggests a significant erosion in the volume of fish sales. We looked at the promotional history during seven weeks around Lent 2017 and Lent 2018 for six species that make up 80% of the fresh and frozen fillet volume at retail. Surprisingly, declines in promotional opportunities were recorded across the board for all six species. Since retail volume generally follows promotional activity, this is a proxy for changes in sales volume at retail as well. The six species we looked at were cod, haddock, salmon, tilapia, catfish, and pangasius. Our data mixes both fresh and frozen fillets. First, total weekly promotions of these six species were down for each week of Lent. A significant erosion in retail fresh and frozen fish sales during Lent may have occurred in 2018. Lent is the most significant selling season for whitefish, both at retail and foodservice. A preliminary look at Urner Barry’s retail promotion database during lent suggests a significant erosion in the volume of fish sales. We looked at the promotional history during seven weeks around Lent 2017 and Lent 2018 for six species that make up 80% of the fresh and frozen fillet volume at retail. Surprisingly, declines in promotional opportunities were recorded across the board for all six species. Since retail volume generally follows promotional activity, this is a proxy for changes in sales volume at retail as well. The six species we looked at were cod, haddock, salmon, tilapia, catfish, and pangasius. Our data mixes both fresh and frozen fillets. First, total weekly promotions of these six species were down for each week of Lent.